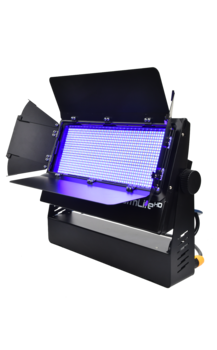 A range of professional projectors and accessories created and thought to sublimate your highlights. The Strasbourg Racing Club organized a major event for the League Cup final, inviting 2 000 people to the "Grand Palais" of Lille, including its partners, families of the players and many speakers and participants. A lot of pre-match speeches chained after match on a much more festive atmosphere to the rhythms of the DJs who celebrated the victory of the club. For this exceptional evening, Produc'Son installed 80 Starway StarPanel LED screens. On the banks of the Saône, with a beautiful view of the Fourvière hill, the "Chapelle Café" is one of the trendiest bars in Lyon. Recently renovated, its huge terrace and cozy indoor space offer all the distinction for its festive evenings. With more than 20 years of experience in sound, light and video installation, PM Réalisation cultivates the art of transforming an establishment into a unique place. Mission accomplished here with the installation of 18 Starway DMX-controlled FullKolor HD for dynamic lighting of the facade. “With its tight 16° beam, its ability to work in both saturated colors and pastel colors, as well as its high power, we were seduced by the FullKolor HD which allowed us to give a strong visual impact to the façade of this famous bar”, Alexis Muetton, director of PM Réalisation. It is along the coast of Marseille that you will see this remarkable villa which is illuminated as if by magic at the end of the day. A fully renovated villa that boasts a magnificent highlight for its buildings and gardens, fully remotely controlled on his smartphone by his proud owner. Mediacom, designer and installer of lighting and associated home automation, has chosen to install for the gardens 4 Starway FullKolor HD projectors, offering a high level of performance and reliability. "Although Mediacom is a company specializing primarily in the scenic and event delivery, we nevertheless realize throughout the year beautiful high-end facilities. With a rental fleet including many models of Starway projectors, it is normal to find the brand in our fixed facilities, "Eric Algoud, manager of Mediacom. Since 2006 in the town of Brue-Auriac (83), Viradabrue is an important meeting place for many amateur and professional artists and for the public attending the shows of the Festival of Hope. A major event as part of the "Virades de l'Espoir" under the aegis of the association Defeat the Cystic Fibrosis, the first funder of research in France against this disease. As both a partner and a technical provider, Pan Pot ended the season in style at this event with numerous LED displays using a total of 76 StarPanels and 6 DataKolor 25FCs. What are the common points between the buffet of a student party, a graduation ceremony of a large university, the reception, bar and entrance hall of the Opera of Lyon for a company anniversary, and the International Rose Day at the "Château des Broyers"? Tubes of course... bright tubes around BoxKolors. Specialized in corporate and public events, the company Evideence has understood this perfectly. This is evidenced by their attachment to Starway's BoxKolor, which they invariably equip with her luminous tubes of variable height. A way to define for the public, in addition to a controlled lighting, a landmark and a course thanks to a common decoration. "Small, practical and of course autonomous, the BoxKolor has also the merit of recharging very quickly in its flight case. As for the light tubes, we can not find any easier to assemble, store and transport... An excellent way for our teams to be reactive and productive", Laurent Ginet, Events Manager at Evideence. Every year in Villefranche-sur-Saône (69), it is the festival of the conscripts. This tradition, which dates back to the universal conscription of 1798, brought this year the young men of the Class 9 into a humorous parade towards the City Hall, organized during the famous Friday night torchlight retreat. Illuminated for the occasion by CEC, the Town Hall raised the colors on its facade. An additional feat when you discover that only 24 battery-powered BoxKolor projectors have made this possible, along with 8 Starway TourKolor projectors. "We are always amazed at the exceptional performance of our small BoxKolor projectors. Installed in a few minutes thanks to their operation on battery and DMX wireless, they do not require any wiring. We were able to illuminate the entire facade of the town hall by combining power and quick installation", David Chanrion, manager of CEC. Located on the spur overlooking the town of La Tour-du-Pin (38), this remarkable neo-Gothic and neo-Romanesque church, with its imposing bell-tower porch and quarter-round turrets, is a major landmark for the city and takes a beautiful look with its illumination during the Festival of Lights. To provide the building with lighting accentuating the balance of volumes and details that give it great majesty, Direct'son Events has simply installed 16 Starway SuperKolor HD projectors that have proven to be extremely effective. "The architectural lighting of the monuments is one of our specialties. Our experience in this area has taught us to work with light, with stone, volumes and edges. By using the opening and color features of the SuperKolor HD while taking care of its placement, we get an optimum result, and the magic operates ... ", Fabrice Ferrer, Managing Director of Direct'son Events. The technical service for this installation was provided by Adequa'Son, which supplied the products in accordance with the specifications. 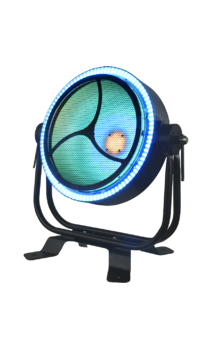 Eight groups of Starway projectors totaling 12 ToneKolor HD, 12 ArchiKolor 150FC and 12 ParKolor 120HD have been installed on a hoop attached to the periphery of the outdoor pool. "The Starway projectors gave me complete satisfaction. The overall lighting of the fountain was managed by the large beams of Archikolor and ToneKolor, whose high level of illumination allowed to perfectly color the top of the fountain which rose to 12 m from the ground. Driven by a mapping software in addition to a light console, the Parkolor HD zoom allowed to animate extremely precise areas with a tight zoom, while zooming in wide for waiting times between tables. And all this in a more than humid environment for a week, without any problem thanks to the IP certification of the selected projectors ", David Udovtsch, lighting designer. A symbol of outstanding luxury, the Intercontinental Hotel in Marseille occupies a sumptuous building on the Panier hill, Marseille's oldest district. A five minute walk from the Old Port, it is in the heart of the Phocaean city and offers a breathtaking view upon the Basilica of Our Lady of the Guard. For the end of year celebrations, the hotel dresses all its facades in a beautiful colorful dress. In charge of this grand lighting, EBS Organization Communication chose Starway by installing several StormLite HD projectors to effectively illuminate the largest hotel in Marseille. "The StormLite HD is a truly versatile product. Even if we use it on stage for strobe effects and colored wash, we find it particularly formidable for the architectural lighting where it develops a very beautiful color, homogeneous, with a really impressive power", Frank Bonora, manager of EBS . It is already Christmas in Arras, which lights up for a few days to welcome its legendary market and its many animations. The "Square of Heroes" is transformed into the "Square of Lights", which stands out from the city, rising at the top of the 75m of its magnificent belfry, surrounded by illuminated facades. To transform the square into a real sound and light place, One Events Live has installed more than 170 Starway projectors including 148 Fullkolor HD distributed between the facades of the square and the edges of the belfry, 8 CityKolor for the lower part of the tower and 16 ZoomKolor HD behind windows and attics. For this first edition of Biarritz in Summer, everything was there to make it the essential event of the Basque coast. Three days of eclectic programming, a record affluence in a superb site, here is the new big festival of the Southwest. 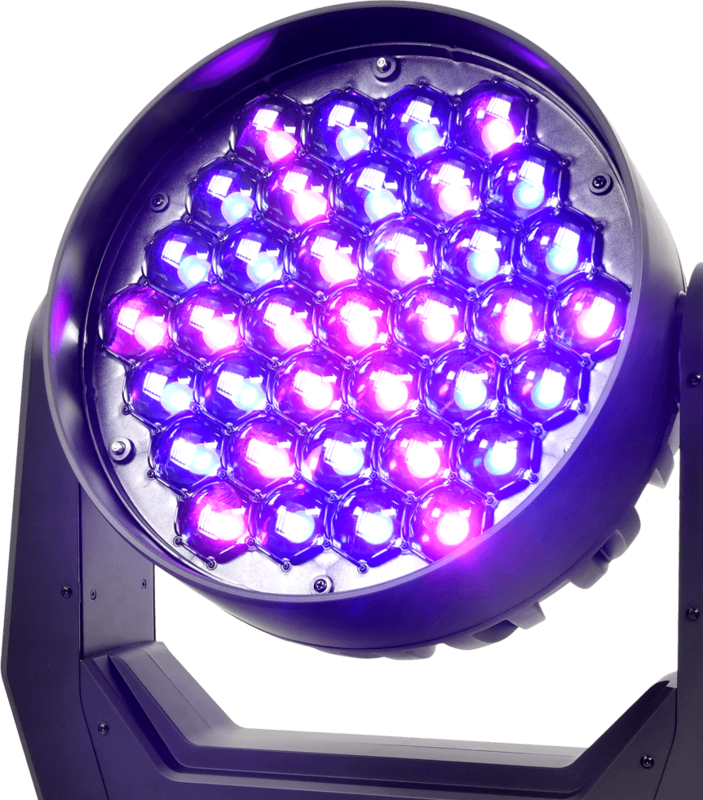 On this new exceptional stage, Eventlive Group, sound and light provider of the festival, has deployed a tide of new technologies. A totally visionary scene thanks to a light design by Julien Desbrosses, including Starway Servo Pix 10K and StormLite HD projectors. The "Route du Rhum" is the most legendary transatlantic lonely, run every four years between Saint-Malo and Pointe-à-Pitre, Guadeloupe. In this eleventh edition, the race celebrates its fortieth anniversary and brings together for the first time the new generations of multihulls equipped with articulated wings. At each departure, the queen of transatlantic lonely creates an absolute passion, celebrated by many events in the city and the port. The Astrevent Group and its subsidiaries Nova, Naos and Atria, specialized in the technical provision and rental for events, managed no less than 20 events throughout the city. For each of them, the lighting spotlighted Starway on its whole range of projectors: AéroKolor, EventKolor, SlimKolor 710UHD, FullKolor HD sublimated the gala evening at the Grand Aquarium of Saint-Malo, AéroKolor, EventKolor, SlimKolor 710UHD and MiniDisplay illuminated the "Demeure des Corsaires", Servo Pix 10K, Servo Blade 15K, StormLite HD and Orion setted the stage of the "Trinquette" on fire. 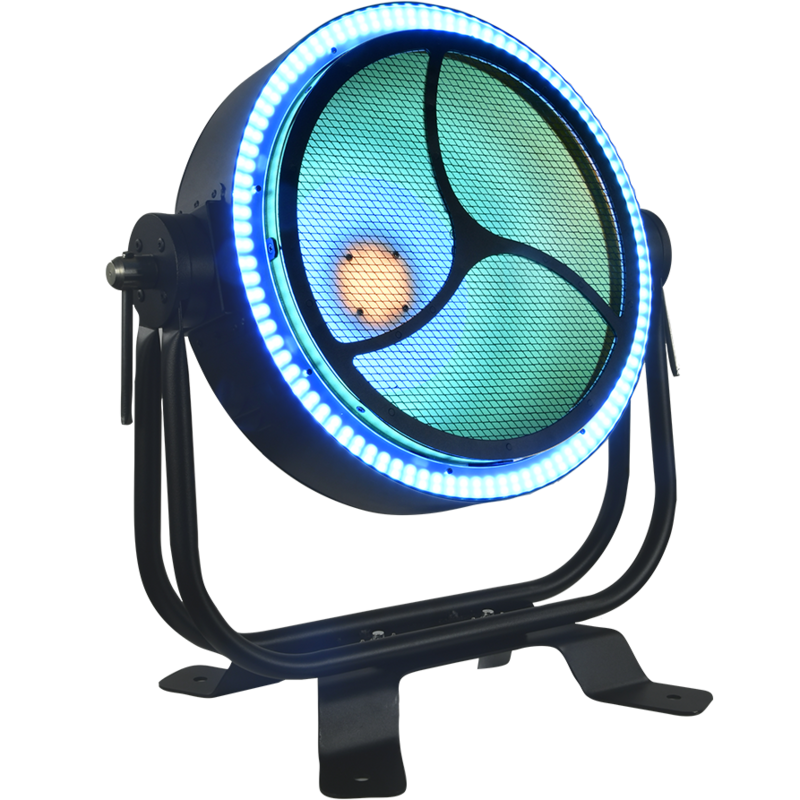 "To fully perform our mission as a technical event provider and immerse our customers in a sublimated world, we need a wide range of lighting products. Starway offers us all the projectors we need in order to meet all types of specifications, with the guarantee of performance, reliability and profitability that we and our customers expect", Michael Trevilly, Astrevent Group's manager. Corporate seminars, managers' conventions... these numerous corporate events dedicated to the presentation of new dynamics and objectives are unavoidable in the business calendar. The sophistication of the presentations, the prestige of the guests, the persuasion of their speakers and the importance of the issues that are addressed there now impose an evolved and creative staging. For this type of event, Scenotec, located next to Marseille, is the specialist. By supporting both the technical services and the design of the event, the company manages all areas including lighting, sound and video capture. 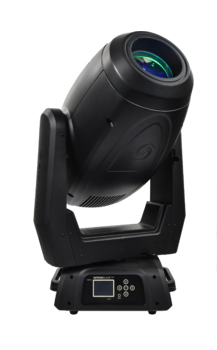 A global offer managed with a wide range of Starway projectors, completed since september by the new Orion, used for their mix of tungsten colors and their great scenic dressing capacity, and the Vega, a projector of great versatility as comfortable for effect creation as for high power wash lighting. "Scenotec brings a new dimension to its corporate clientele: scenography. An inseparable discipline of the theater, which we apply to the world of corporate events to transform a place, create a climate, an atmosphere, reveal values​​... The creative lighting is one of our vectors to make events memorable, and the new projectors Orion and Vega from Starway allow us to achieve this perfectly, both technically and economically", Loïc, manager of Scenotec. When the works councils organize their annual dinner, it is each time a new event often highlighted by the choice of an original theme. The guests of this exceptional evening were transported in the mid-30s, in the middle of the prohibition period, for a total and festive immersion. Responsible for the lighting and decoration of the room, LS-Events has recreated the atmosphere of the roaring thirties, with lighting composed only of Starway projectors, allowing both the enhancement of the room and its decorative elements: 12 BoxKolor UHD battery projectors for entrance lighting and scenery, 12 Servo Color 4K and 6 StormLite HD for room and table lighting, plus 5 Servo BWS 20R for the projection of gobos and dynamic lighting. 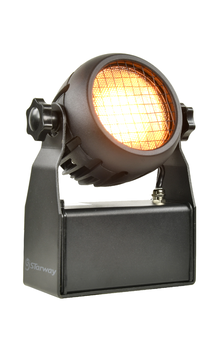 "We appreciate the Starway brand for the diversity of its products that allowed us here to make all types of lighting necessary for our scenery. On this benefit, we had a particular crush on our latest acquisition, the StormLite HD. In addition to their main function of strobe effects, they make it possible to realize washings on a very large surface with a perfect rendering of colors, an astonishing cocktail...", Stéphane Hamann, manager of LS-Events. Located in Romanèche-Thorins in France, the Touroparc Zoo allows visitors to approach as never before more than 700 animals representing 140 species, originating from all the continents and coming from a great diversity of terrestrial biotopes and which bloom in a natural and green setting of 12 hectares. The management of the animal park and attractions asked GL events Audiovisual and its Sales & Integration department for spot lighting of certain parts of the park. GL events Audiovisual conducted night tests at the end of July 2018, and Starway's WindKolor was selected for its ability to meet the specifications. 36 projectors were delivered to Touroparc in the middle of August, the first "night mission" having taken place on August 31st. "The goal was to allow small groups of spectators to watch the wildlife of the park at dusk. It was impossible to draw power supplies for this installation which should also be able to evolve with the seasons in order to vary the light scenes presented to the public. The idea of ​​using battery-powered products was quickly imposed, as well as the constraint of having products able to withstand the elements and to blend in with the vegetation in all discretion. 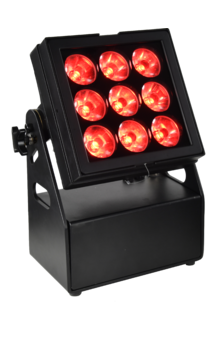 In addition, the easy access menu of the WindKolor also allows novice users to quickly set up light scenes without the help of a console", Stephan Perriand, Head of Sales / Integration at GL events Audiovisual. For its second edition, the Elektric Park Festival overflowed the "Ile des Impressionnistes" in Chatou (78). More than 12 hours of music with a prodigious line up acclaimed by more than 20,000 festival-goers. An exceptional atmosphere with 4 scenes and an impressive scenography. Summum of this electro party, the Yellow Stage, main stage of the festival, set the tone for this extraordinary event. 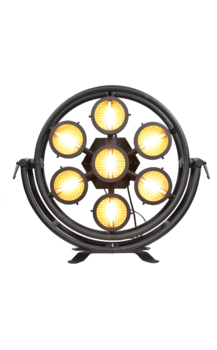 With a scenic design by Balaram Lescot and a lighting design by Arthur Oudin Design, Rayflection, the festival's lighting provider, has implemented a huge luminous power that includes 8 Starway StormLite HD stroboscopes. "The power and colors of StormLight HD from Starway allowed us, in addition to strobe effects, to trigger powerful wash on the entire stage and the public", Arthur Oudin, lighting designer. Organized by the Festival Committee and the City of Lavaur (81), the first Lavaur International Opera Festival has realized three performances of Carmen by the Teatro di Milano in the exceptional setting of the Saint-Alain Square. A festival with a pedagogical dimension through its local integration with educational structures, and a real professional springboard for the discovery of opera singers. Technical provider in charge of the festival, LAV Sonorisation operated the latest and most advanced Starway automatic projectors. Positioned about 30 meters from the stage for perfect discretion, its 6 Servo Blades 15K excelled in the projection of gobos and the front lighting for a perfect highlight of the artists. "The Blade 15K is a true versatile projector that allows us to do everything: wash, spot and cut. Its power and openness give us total freedom of placement for a wide range of applications. A high-end at Starway that allows us to always offer our customers a controlled budget", Frederic Colomes, manager of LAV Sonorisation. In Carcassonne in the South of France, for July 14, more than 700,000 people flock to the banks of the Aude river to witness the incredible fireworks. A real show of 25 minutes with a final bouquet of 1,200 impacts in 6 seconds, which has ignited the entire city as tradition dictates since the arrival of the "Cadets of Gascogne" in 1898. For this edition, the company Ruggieri in charge of the design and construction of the fireworks of the City of Carcassonne has asked ID Scènes to create an extra dimension with video and lights. This made it possible to integrate the Count's castle in a brilliant scenography. Its lighting was achieved with ParKolor 120HD, 12 ArchiKolor 150FC et 30 FullKolor HD from Starway. What a career for our French team in this 2018 Football World Cup! From June 16 until the final on July 15, "Les Bleus" have given beautiful images of the most popular sport in our country: team cohesion, extraordinary goals ... while leading us to the highest title. For many of us, it was simply a crazy month to live behind screens of any size. In addition to the mobile, tablet and TV lounge, it is inevitably in front of the many giant screens that the show and the sensations became exceptional. A big thank you to all our customers who have installed in cities all over France, the many Starway screens in front of which gathered all football fans: 2MTS, APS, Eso Prod, MIxlive 64, Orkka, Pan Pot , Platinum, Polygon Equipment, Produc'Son, Studio More ... Thanks to them, Freevox was at the heart of the World Cup and its exceptional final. This weekend at the Zénith of Toulon (83) took place, under the direction of its founder Frank Castellano, the largest choir of France, the Choirs of the South. An extraordinary training that gathered for the occasion 1000 choristers, all united behind the voice of Chimène Badi for 2 truly exceptional shows. At the technical organization of the event, Pan Pot deployed the big game. 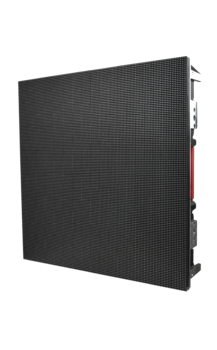 If on the lighting side we found the kit of big shows with 10 Starway DataKolor, on the video side it was the big day for the first performance of the new video screens StarPanel of Starway: 2 screens of 5 x 3 m for a total of 120 new generation modules. "Just arrived in the park, immediately on stage. For their first outing, we had only fun! Transport and installation easy and fast, less than 2h30. As these are screens that we will also use outdoors, we have just lowered their brightness to allow the broadcast on each side of the stage and everyone was able to appreciate their impressive broadcast quality", François Ducarouge, technical director of Pan Pot. What's more natural than a sunset on the Seine! But when it comes to mastering it is a different story. And when the Parisian agency UBI-BENE sells it to MARTINI for 8 days ... it is Magnum who finds the solution. The goal was to create a large light source, round and uniform, which could be graduated and able to change of color. After performing several tests with his client, Magnum realized that to be dazzling, it had to be 15 times brighter than a full-day screen. The only product that met all these issues was the Starway DataKolor. "We first made a small model of 16 DataKolor which gave us full satisfaction. We then embarked on the big adventure, assembling more than 177 Datakolor to make a sun of 8m in diameter. The two problems encountered were to design a mechanical assembly and find a solution to make these projectors waterproof, which was not easy (we even cut some DataKolor). In the end, everyone was fully satisfied, under the Magnum Sun ... ", Jérôme Chupin, Magnum's Managing Director. During the summer, France Television has changed the scenery and the light of many of its TV studios to accommodate the 9 new programs of the season, including the news of the 13h and 20h, political broadcasts, the weather forecast and several other programs. On this occasion, the TV lighting integrator Eurolight System delivered its 10,000th LED projector by offering more than 60 Starway SticKolor 1210UHD for the lighting of sets and backgrounds particularly highlighted in the show "It's in the Air". 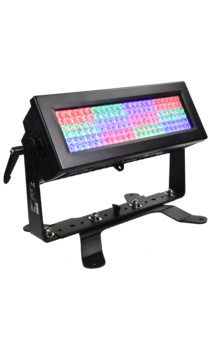 "The power and capabilities of the SL PunchLite 220's power zoom, as well as the reduced size and excellent light output of the SticKolor 1210UHD to enhance the scenery, really appeal to users, who are completely satisfied with the performance and quality of light produced by these new references of LED lighting", Frederic Francey, manager of Eurolight System. To celebrate its 40th anniversary, the Trust group has programmed 5 Parisian dates in its tour "Au Nom de la Rage". The "Bataclan", The "Bus Palladium", The "Maroquinerie", The "Trianon" and the "Elysée Montmartre" have been exalted to the legendary hymns of the rock band for the pleasure of an audience that is not aging. 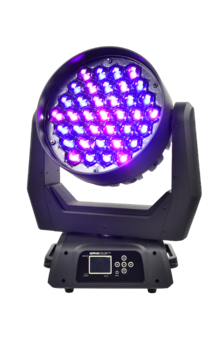 The new lighting provider Rayflection orchestrating the lighting with a choice of new performance-oriented machines, including 6 Servo Color 10K moving heads, 2 LiveKolor HD and 4 StormLite HD stroboscopes. "We have been Starway fans since the first hour. With Starway's new StormLite HD, we've discovered much more than a stroboscope, a true wallwasher that creates atmospheres and layers of beautiful depth and stunning colors. A new kit that we take with us on the whole tour ", Arthur Oudin and Pascal Maltese, partners of Rayflection. At the gates of Nice, the city of Saint-Laurent-du-Var offers visitors the charm of an authentic village and the animation of a seaside resort. A commune which is winner of many awards for its remarkable quality of life, including the Living Environment Development, Acting for Energy and the Regional Tourism Innovation Award. Its Town Hall now appears in a new light thanks to an architectural highlight created by Megawatt Sono. This new permanent installation incorporates 24 Starway ParKolor 120HD projectors, specially coated with low-temperature paint in the colors of the facades. Spread over more than 80 linear meters of buildings, in addition to 15 m of Tapekolor LED strips, all controlled by E-Soft Pro software. "This achievement highlights the trust we have placed in the Starway brand for many years. It allowed us to sign here a magnificent lighting made entirely with products of the brand including the ParKolor 120HD, which seduced us by the performance of its zoom and its innovative color control system", Christian Ellena, manager of MegaWatt Sono. The Phoenix group gave on September 29 its only and unique concert in France at the AccorHotels Arena in Paris. A highly anticipated live by the French electronic music and pop rock band, awarded with a Grammy Award for Best Independent Album. As a tour provider, S Group strives to technically perfect an innovative scenography designed by Pierre Claude, light designer and console operator for the entire international tour, which, following the advice of Léon van Empel, CEO of S Group, has discovered and adopted the new Star Star StrongLite HD stroboscopes. "At the first briefing with the artists about the light design, I first realized that the project was going to be complicated. The idea was to play on a huge video floor of 11m x 9m reflected by a mirror of 11m x 10m itself inclined at 45 °. The light had to be discreet and out of the question to hang on or use the festival bridges hidden by this gigantic backdrop. My choice for stroboscopes was then turned to a classic model. At the time I was not convinced by what was done in LED; some did not have enough power, dimmer curves and colors were approximate, there was no random, they were too heavy and unsightly ... With a group of this size, we play as much in clubs only in the biggest festivals of the world like headliner: the power must follow. During the tour in Asia (without our kit), I was forced to use LED strobes, which allowed me to question my choice. I then asked my friend Leon van Empel what he had to offer me. He recommended me some Stronglite HD from Starway, a brand I did not know much about, but everything seemed to be on the technical sheet. I give full confidence to the choices and proposals of S Group, we then did the test on the next date (a few days before Paris). I was immediately charmed. 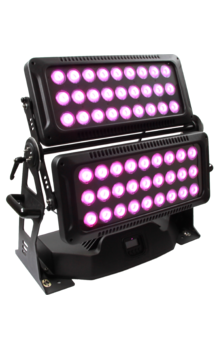 The machines are discreet with incredible power, the dimmer and the colors are fine, and my technicians are delighted. We have in all 5 Stronglite HD against the light of the mirror, 5 against the light, and 8 in the side. Perfect for an Arena! I leave so confident for the big festivals", Pierre Claude, light designer.